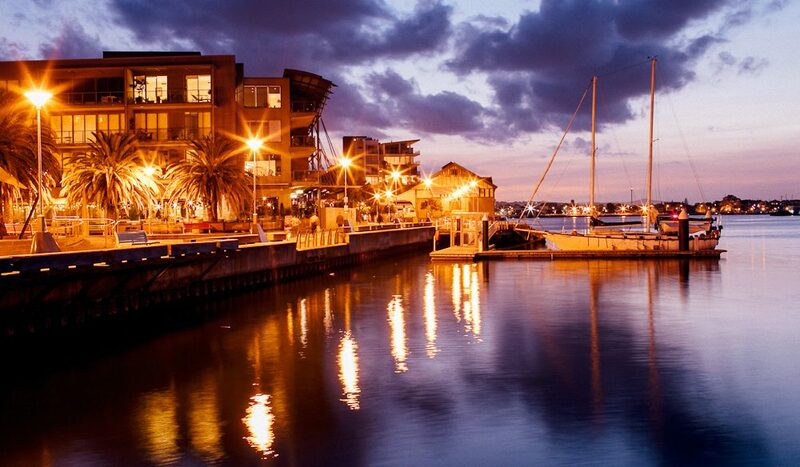 Electric atmosphere: Newcastle by night (photo: Elise Hassey). Ten years ago, Newcastle was a desert of unemployment and bleak prospects. Today, it’s one of Australia’s hottest places to invest, a world-leader in urban renewal, and most importantly an essential weekend away. Let us begin this journey with an important disclaimer: this isn’t your usual rags to riches fairytale. It isn’t a story about a town that started off gritty and dirty to suddenly be championed. This town certainly didn’t rise above its roots, and it hasn’t become so sparkly and well dressed and nice-smelling that it’s forgotten it once had a bad perm and was called Charlene. Certainly there is change happening in Newcastle. Lots of it. Edgy new cafés (slash bakeries slash galleries slash ‘creative spaces’); beautifully restored pubs and bars; fabulously unique shopping (and we mean unique); and a pride about the place that didn’t exist 20 years ago. But the really interesting thing? There’s been no magical influx of wealth. No sudden new development that caused crowds to come rushing in. 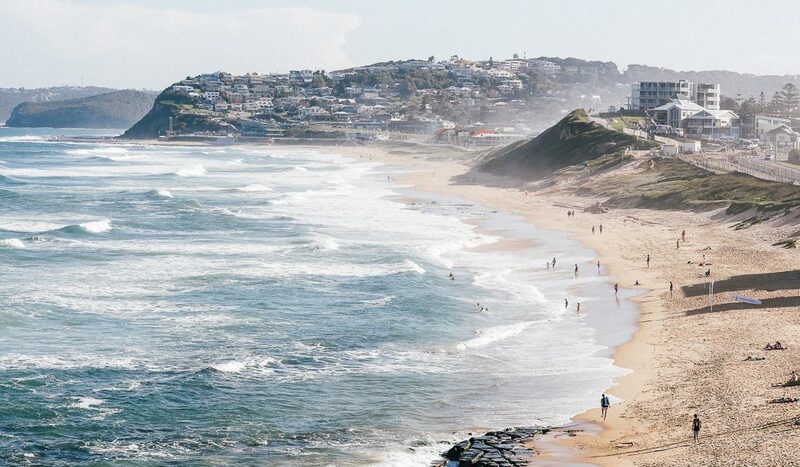 No, Newcastle’s transformation has been a grassroots movement by locals and for locals, and unlike most gentrifications, which attract hipsters and poseurs and a sense of disconnection, the changes here are bringing the community even closer together. This is a story of gentrification done differently – and even if you’re not likely to visit in the next few months or the next few years, it’s a story worth reading. Because this, we’re willing to argue, might just be what the future of Australia looks like. Soap is not the most obvious place to begin this tale – for what could a handwash have to do with reinventing a town (besides helping ‘clean up the city’)? But this particular batch, made by Novocastrian Juanita Low, is a wonderful example of what’s been happening in the city since 2008, as part of a world-first initiative called Renew Newcastle. General manager Chris Saunders doesn’t mince his words on the topic. “Ten years ago, Newcastle was dead,” he says bluntly. “There were empty buildings all over the city, ‘For Lease’ signs on almost every corner and virtually no life in the CBD – there weren’t even people walking down the street.” But one local, a gentleman by the name of Marcus Westbury, saw an opportunity to change that. What if all the empty buildings could be filled with pop-up stores? A passionate Novocastrian who’d already founded the TINA (This Is Not Art) and National Young Writers’ festivals, Westbury was a prime candidate for instigating the revolution. He immediately began looking at ways in which he could find short- and medium-term uses for the many buildings that were vacant, abandoned or otherwise stuck in the drawn-out approval process for redevelopment. “The basic concept was to lend those empty spaces – in office blocks, in department stores, along shop-fronts – to people wanting to start businesses, who were willing to accept an uncertain lease,” Saunders explains. On the condition that properties were returned in a better state than when lent out – a premise which usually involved a lick of paint, and maybe some basic repairs – a deal was struck with owners, and suddenly a whole lot of free real estate was up for grabs. Spaces filled quickly. To be a part of Renew, participants have to go through a formalised application process, which includes an outline of their business idea. Their application is vetted by Renew’s board and matched to an appropriate property, but there’s one catch – the business idea must revolve around a creative industry. The town saw digital artists, painters, jewellery-makers, furniture designers, milliners, media consultants, potters, musicians, illustrators, authors and yes, soap makers, coming out of the woodwork. They not only became visible contributors to the community and produced a very different shopping experience, but completely renewed the city in the process. You can see the effects of Renew for yourself by taking a walk along Hunter Street Mall. Five years ago it was a wasteland of two-dollar shops, but today “it’s so full of actual tenants that it’s hard to find a spot to offer to prospective Renew participants,” says Saunders. 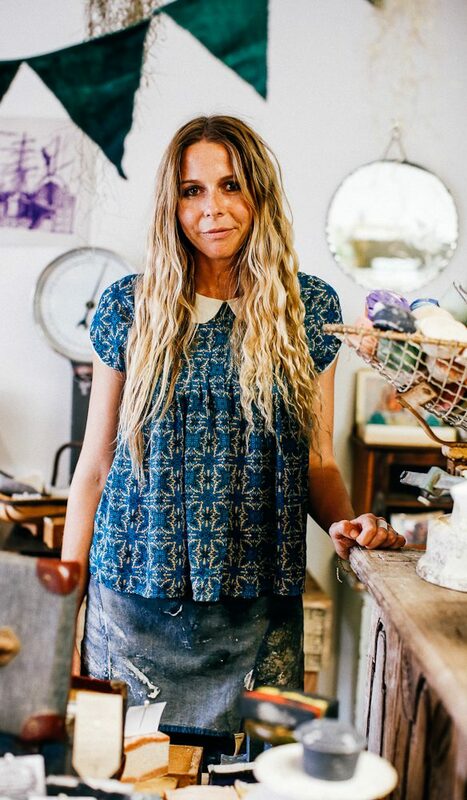 You’ll even find a ‘graduate’ business of the program: stationery and homewares store Studio Melt was so successful as a pop-up store that owners Susie Manning and Ange Hailey progressed to taking on a full-time lease. They have stocked the store with their own handmade jewellery and art, products by other Renew participants – think Marimekko-inspired cloth handbags, earrings made with silver and coal (sourced from Newcastle, of course), and quirky illustrations on postcards – as well as the wares of international designers. Overall, the program has launched more than 70 new creative projects in more than 40 once-empty buildings, like the iconic former David Jones department store. Once forlorn, the building’s ground floor has been reworked as ‘The Emporium’: a bazaar filled with unique, handcrafted wares from industrial furniture and leather goods, to vintage clothing and some surprisingly sophisticated millinery. But what’s most amazing about this little local project is the number of ripples it’s had both nationally, and across the world. In 2011, as a direct result of Renew, Lonely Planet declared Newy one of the world’s top 10 cities in their annual ‘Best in Travel’ awards. Westbury has since moved to Melbourne, where he has set up Renew Australia, a consultancy service to help other areas draw out their own creative communities. Several ‘Renew’ schemes have since launched at locations including Adelaide, Townsville, Eurobodalla, Cooma, Melbourne, Sydney, Greensborough, Geelong, Creswick, Clunes and Talbot in Australia; Lisbon, Rotterdam and Copenhagen in Europe; and Toronto in Canada. Stay tuned – in the next 10 years, there’s a good chance the project will be coming to a town near you. Without an enormous influx of wealth, Newcastle’s gentrification has required some creative adaptions of existing spaces. Several pubs are currently undergoing facelifts (walk along Darby Street or the Honeysuckle Precinct for evidence) and office blocks are being turned into speakeasies (more on that in a moment). But the most outstanding, if somewhat spooky, example is a building on government-owned land: The Lock-Up. It’s not hard to see why. 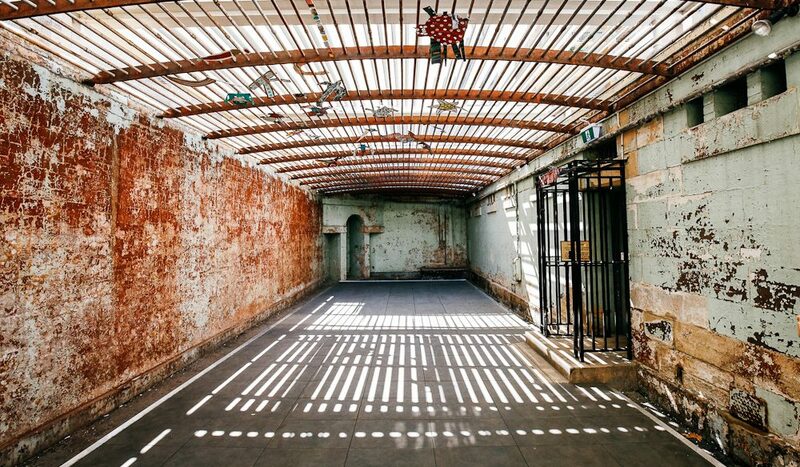 You can view artworks inside ‘Cell A’, which measures less than two square-metres and is a significant example of colonial penal design, as well as an eerie space for the moving projection currently on display there (a snippet of history: the cell size was introduced by Governor Gipps in 1838 as an economy measure). Or admire the sculpture in ‘Cell C’, an even creepier setting: the brown leather walls curve inwards, covered in scratched graffiti made by bored prisoners. Perhaps because the city has shunned neon lights and aggressive development, the past seems a lot closer in Newcastle. Its heritage streetscapes, in particular, are an absolute delight to take a walk along, with buildings representing almost every era and a glut of those from the 1800s, still wonderfully intact. There are also several pubs that date back to the town’s earliest days, including one owned by the ex-Lord Mayor of Newcastle, Jeff McCloy. The Lucky Hotel might sound like a fortunate place but, like so many buildings in Newcastle, it sat empty and unused for nearly a decade before McCloy and his family restored it to its rightful condition. It makes for a particularly heartwarming success story for the sheer breadth of its scale. The $6.5 million commitment – personally funded by McCloy – was “a love project,” his daughter Hayley admits. “It used to be a place you’d come to watch bands,” explains Hayley, who is also the pub’s marketing manager. The bottles feature on two walls of The Lucky. They’re not only a small reminder of the pub’s rich heritage, but a gorgeously apt example of Novocastrian creativity at work: a means of fusing modern design with Newcastle’s past to push local enterprise forward. “There’s a lot of nostalgia here,” says Hayley. “This was a special place not just historically, but in recent times for many Novocastrians. 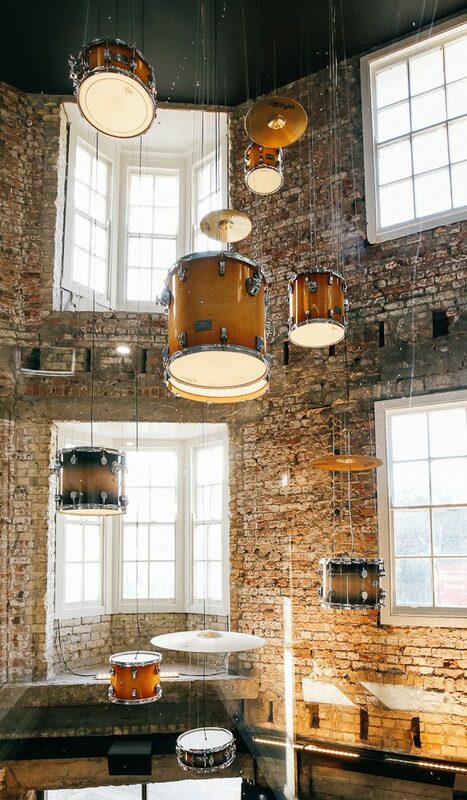 We often hear stories like, ‘I saw my first band here’, or ‘I met my husband 20 years ago in that corner where the billyard tables used to be.’” To pay homage to that, a custom-designed ‘drumkit chandelier’ hangs from the ceiling of the main bar area. The city’s changing face and flourishing reputation is not only attracting young creatives, but experienced problem-solvers who bring with them innovative solutions to age-old problems. Monica Zarafu moved from Romania to Australia seven years ago, with a scholarship to the CSIRO in transport planning. Though you might struggle to ride the whole way around town (it’s hilly in areas), the council has already installed a picturesque pathway that runs along the foreshore, so you can cycle from the Honeysuckle precinct (where the bikes are found) either away from the beaches or towards Nobbys Beach, via the lighthouse, then round the headland and onward to Newcastle Ocean Baths, Newcastle Beach, King Edward Park and beyond. Make sure you stop for a coffee at Estabar, a forward-thinking coffee shop serving local produce and fabulous lattes, and for a swim at The Bogey Hole, a hand-hewn pool built by convicts for the personal use of a visiting commandant in 1819. 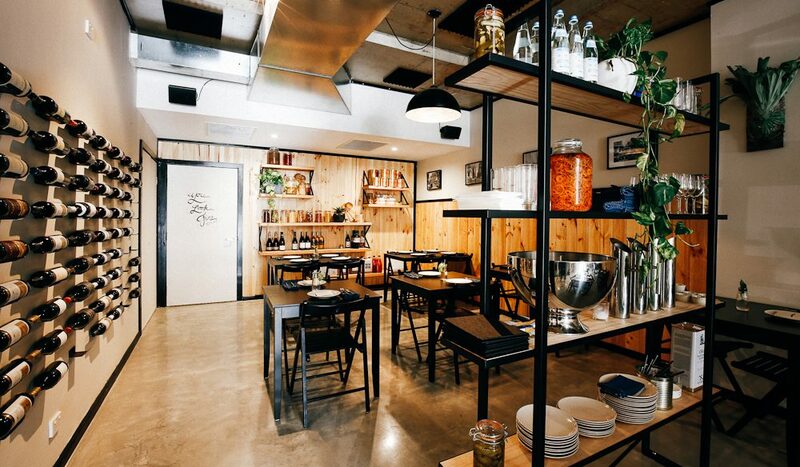 This knowledge was front of mind when Margan decided to open an upmarket bar in the Honeysuckle entertainment precinct – a daring move, considering the area was known, until recently, for its dual offerings of tap beer and brawls. “We wanted to raise the bar – no pun intended – without putting anyone off,” she explains. Like Alder, bartender Josh O’Brien, has worked at The Landing since its opening. After stints in Paris, New York and Dubai, he moved home to discover that the town had “an energy around that wasn’t here five years ago. 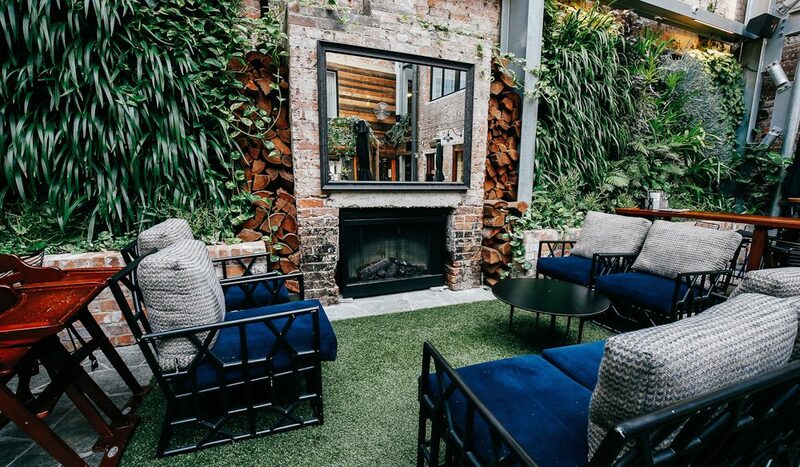 There’s just more confidence here; people are willing to try new things.” While not every hospitality venture is as slickly executed as Margan’s, there are some real gems to be found among the plethora of new venues here. 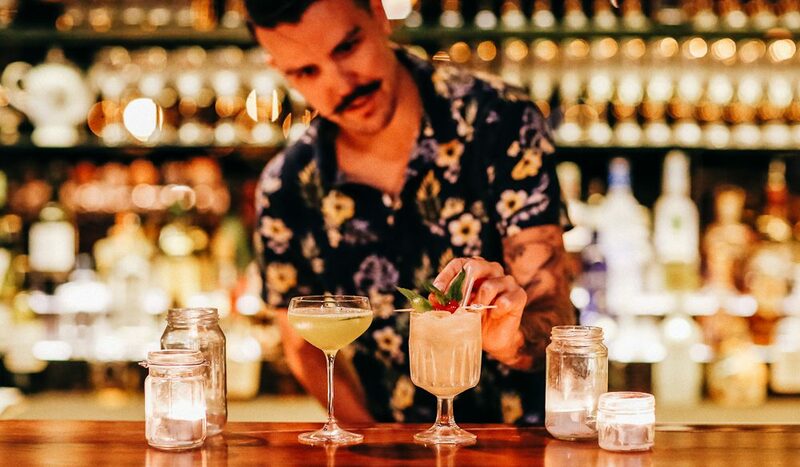 “People told us no one would understand a cocktail bar, that all Newcastle wanted was craft beer and vodka red bulls, but I believe I sell more cocktails here on a nightly basis than almost any bar in Sydney,” says Ethan Ortlipp. Ortlipp, on the other hand, long suspected that people were “crying out for something new”. His ‘speakeasy’ concept was a daring one regardless. With no website, no physical address listing, no phone number and no signage, and only an Instagram account as a means of promotion, he took what traditional marketers would consider a sizeable risk. “We had a line out the door on our very first night,” Ortlipp says. The bar itself is brilliantly executed – done on a low budget, though so well thought-out that it’s forgivably so – and set in an old bank, which had been converted into depressing office spaces and then sat, unused, on Newcastle’s busiest street for over a decade. Unthinkable! Ortlipp and Hawthorne have since opened a second restaurant, The Bowery Boys, which serves adventurous food till midnight every day.